Custom Design — Tuggle Designs, Ltd. Think of us as your personal, custom jeweler. As a Tuggle Designs client, you’ll work with owners Matthew and Lauren directly, making your experience as easy, informative and enjoyable as possible. 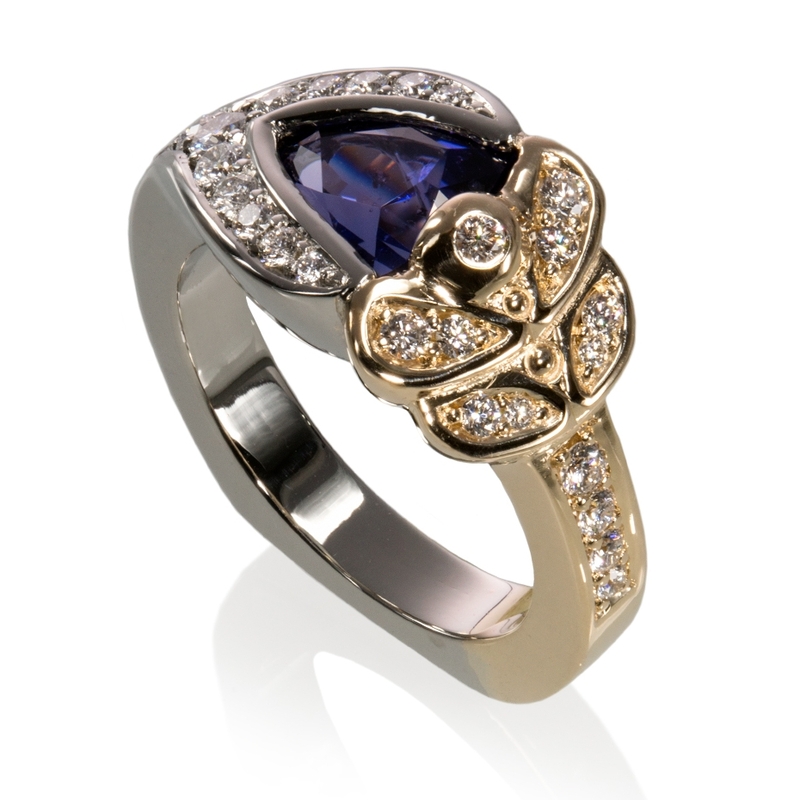 Unlike other jewelers, we will work with you to create something truly custom, not just customized. Stories are the inspiration behind everything we create, and we will keep your story top-0f-mind during every step of the creation process - emotive design with your story in mind. You will have a say in every element of the design process; from the overall style and setting, to the diamonds and/or gemstones, as well as the type, color and finish of the metal of your one-of-a-kind piece. You will have the opportunity to be as hands on or hands off as you desire while we work directly with you to turn your custom jewelry vision into a reality. Determine your design. Through our initial consultation and reviewing your inspiration images, we will walk you through our design process and work with you to create the design that fits your vision. Choose your stones. We will work with you to re-purpose your heirloom jewelry or source the highest quality diamonds and gemstones for your custom piece while staying within your pre-established budget. You will have the opportunity to view and compare a unique selection of diamonds and/or gemstones curated with your needs in mind. Review and design approval. Following your initial consultation, you will receive several unique jewelry designs (in the form of sketches) for your jewelry piece. After you have reviewed the designs for your custom piece, we will make any additional adjustments and work with you until we have captured the exact design you’re looking for! Don't worry, we will stay in the design phase until you are completely satisfied with your one-of-a-kind design because we want you to love your piece before proceeding to production. Determining production method. Once your design has been approved, your piece will move into the modeling or fabrication process. Depending on the nature of your design, we will either hand carve a wax model or hand-fabricate your piece. If a wax model is created, you will be able to review your model and any final adjustments will be made. Producing your custom creation. Following approval, your custom piece will go into production. Depending on the time of year, the production process generally takes from 3 – 6 weeks. Picking up your piece! Once your custom jewelry piece is completed, we’ll organize a pick up time and get your one-of-a-kind, handcrafted custom piece to you! Ready to get started? Fill out our Custom Design Form! Who is this piece being designed for? Can you describe the person above? Think about...looks, lifestyle, hobbies, career, activity level, interests, taste, fashion style, colors, etc. All details are helpful! Do you have a preferred pick-up date for this custom piece? Custom items generally take 3-6 weeks to create once the final design has been approved. All projects will be evaluated on a case-by-case basis and we will do our best to meet your desired date! Do you have any specifications you’d like us to use for your piece? This could include metal type(s), metal colors, stones (gemstone types, color schemes, cut, size, shape, etc. ), or just an overall style or feel to your desired piece. Stories are the inspiration behind everything we do, so is there a backstory behind this special piece? Share a link to any inspiration images you've collected!